Flipside U #25 - The Morning After! Holla y'all! 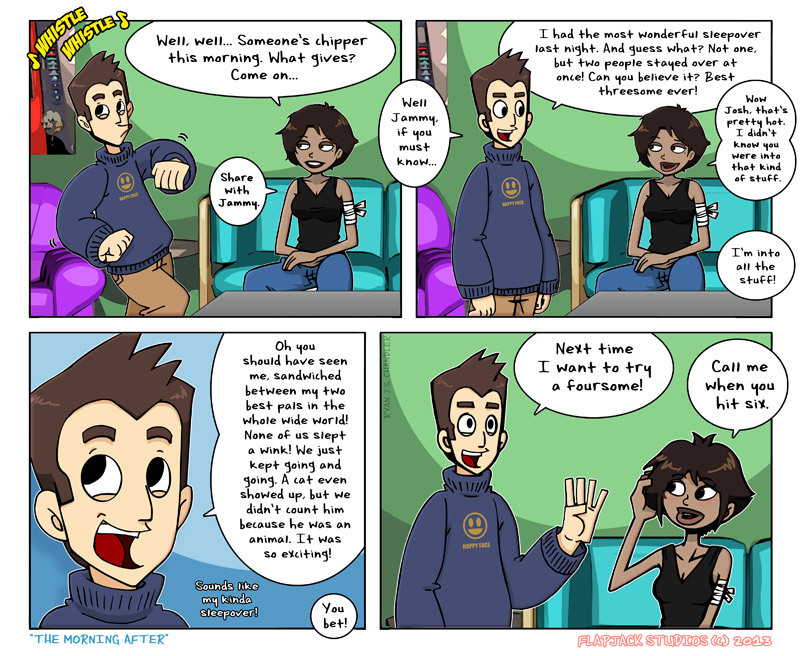 We're back with another awesome Flipside University comic. This weeks "The Morning After" takes place right after Josh's hilariously successful sleepover party! We hope you like our newest strip! If you do, or just like foursomes, then please share it around the town! Thanks!